This month’s Society of the Spoken Word takes place at the usual venue. On Tuesday Feb. 26 , 2013 from 9 – 11 pm the Second Cup in downtown Barrie will be host to the event. As always, the first hour will feature an exceptional guest reader. The second hour will be open-mic, where anyone who wants to share their poetry or prose is welcome to take center stage. Come out to Second Cup, located at 74 Dunlop Street East, Barrie and take in some local culture. Our guest-readers for this month’s event will be the amazing Matt.Miller and Tomy Bewick! They will be performing their own style of tandem and solo spoken word pieces for you guys, so show up to support them! 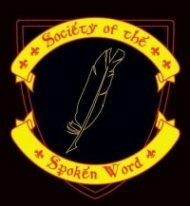 Categories: Society of the Spoken Word | Tags: Culture, entertainment, poetry, sotsw | Permalink.